Wow. March is a good month for new releases. Last month, I pretty much knew that Out of the Easy was going to be my favorite, and it was. March is so full of releases I’m dying to read, it was tough narrowing it down. Maybe I’ll be able to squeeze in more than 5 again, as I did in January and am on track to do for February. When Mallory discovers that her boyfriend, Jeremy, is cheating on her with an online girlfriend, she swears off boys. She also swears off modern technology. Inspired by a list of goals her grandmother made in 1962, Mallory decides to “go vintage” and return to a simpler time (when boyfriends couldn’t cheat on you online). She sets out to complete grandma’s list: run for pep club secretary, host a dinner party, sew a homecoming dress, find a steady, do something dangerous. But the list is trickier than it looks. And obviously finding a steady is out . . . no matter how good Oliver (Jeremy’s cousin) smells. But with the help of her sister, she’ll get it done. Somehow. Lindsey Leavitt perfectly pairs heartfelt family moments, laugh-out-loud humor, and a little bit of romance in this delightful contemporary novel. I was excited about this one way back last year when it was added to Goodreads. I loved the cover and the cute premise. In an Internet age, I think it’s worth considering what we’ve lost as a society. Not that I’m giving up the Internet—I just think the way it’s changed us is something to think about. Plus, this claims to have “family moments” in it, and I think we need more of that in YA. I also bought Sean Griswold’s Head when it was on Kindle special recently, and I’m looking forward to it, too. I am always a fan of fairy tale retellings. My favorite fairy tale is Bluebeard because it is deliciously creepy. I always thought it was lesser known, so I was surprised to see this pop up on my radar, and equally surprised to see so many other reader-friends say “Bluebeard is my fave fairy tale!” But I guess maybe a bookish set is going to be more familiar with classic fairy tales than most people. At first, I was kind of bummed about this book, because true story: I have a draft of a YA Bluebeard retelling. Then, incidentally, I read this blog post from 2013 debut author Natalie Whipple: “Other People Will Have Your Ideas (and That’s OK).” And really, my story, still buried in a secret draft folder on my computer, is so different from the time period, setting, and general plot of this story. (Also, mine has never and most likely will never be read by anyone else, unless I publish several successful novels…because it’s not the kind of book that works for a debut, I don’t think). 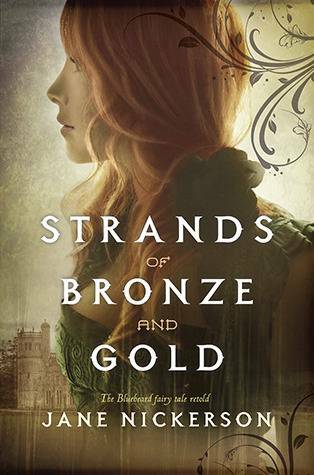 My novel would probably be as similar to Strands of Bronze and Gold as say, Ash is to Cinder, two Cinderella retellings. I set my heart was free to love this book, and I hope I do! First, that title. I don’t really care what it’s about. It could be sci-fi, epic historical fantasy, or, what it really is, contemporary…and I would still be interested. 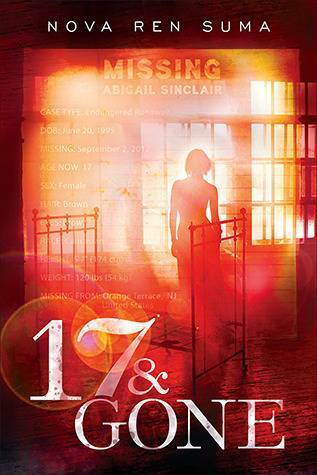 This book first came onto my radar when I went to YALSA’s Lit Symposium last November, when it was on a list of 2013 GLBTQ YA titles. (I wrote about the Queer Lit panel at The Hub, if your interested in other titles mentioned or more on the program). The synopsis grabbed me, and I’m anxious to check this one out. 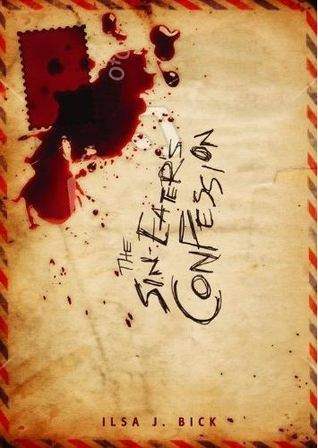 It isn’t so much the premise that sparked my interest, but Nova Ren Suma’s writing. I love her blog and she’s one of my favorite authors to follow on Twitter. I really hope I enjoy this! With frizzy orange hair, a plus-sized body, sarcastic demeanor, and “unique learning profile,” Danielle Levine doesn’t fit in even at her alternative high school. While navigating her doomed social life, she writes scathing, self-aware, and sometimes downright raunchy essays for English class. As a result of her unfiltered writing style, she is forced to see the school psychologist and enroll in a “social skills” class. 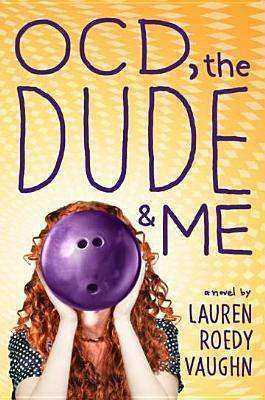 But when she meets Daniel, another social misfit who is obsessed with the cult classic film The Big Lebowski, Danielle’s resolve to keep everyone at arm’s length starts to crumble. The movie The Big Lebowski is big in my family. Lines from it seamlessly enter everyday conversation. When Liberty Hall puts in on in the big theater and sells White Russians, you can bet that we’re going bowling and then going to Midnight Movie Madness. Am I planning my next trip to visit the little brother in LA around Lebowskifest? You bet. Throw in sarcastic plus-sized girls who don’t fit in, and this is my kind of book. There are several other notable books being released this month. Clockwork Princess is coming out, too, and I feel compelled to finish the series, because even if I don’t care for Cassandra Clare’s writing style, I’m invested enough to want to finish that series. I’ve received a lot of other ARCs for March releases, including If You Find Me, which I have heard fabulous things about, The Culling, a sci-fi/dystopia that features queer characters (yay!) that I really want to read, The Murmurings, which looks to be a good psychological thriller, Mila 2.0, more sci-fi that kind of reminded me of Beta by Rachel Cohn which I loved…and there are still other books I’m looking forward to reading but they’ll probably have to wait for the future, because 10 new novels in a month is ambitious even for me. What new releases are you most looking forward to? Ah, you’re right. It must have been listed as March at some point, or I made a mistake (I am kind of a geek and keep a list of series I’m reading and release dates). But I can wait another week—it’s not like I’m running out of material! One of the teens in library book club did read Going Vintage, and she ended up saying it was terrible…so I was less excited about it, but still going to finish it. I did get a copy of Orleans, and it looks cool. If you like sci-fi, I also got Karen Healey’s When We Wake, and it looks kind of dark. That’s a great idea to track the series you’re reading! One of the things I’ve enjoyed about 2013 so far is that a lot of series are wrapping up—Cynthia Hand’s Unearthly trilogy, Lauren Oliver’s Delirium trilogy, Veronica Roth’s Divergent trilogy…and we’re getting the second parts of a couple of duets. Adaptation by Malinda Lo and Just One Day by Gayle Forman. It’s kind of nice to be reaching the ends of some stories. I hope you end up reviewing Oreleans. I’m mostly excited about it because I loved Flygirl, which I read last fall. Plus, it has an almost “Beasts of the Southern Wild” vibe to the synopsis, though less whimsical. I’ve got When We Wake on my TBR list; it sounds interesting, even though the cover creeps me out. I enjoyed Going Vintage, and I’m excited to read OCD, The Dude, and Me! :) Happy reading!